Umdasch Group Ventures GmbH wins the “USA Biz Award 2018”, the so-called „Business Oskar“ for their innovative engagement together with the Contour Crafting Corporation. Umdasch Group Ventures is the Innovation Hub of the Umdasch Group and holds a 30% stake of this startup company, based in El Segundo, Los Angeles. The company has been the technological pioneer in 3D construction printing since 1996. 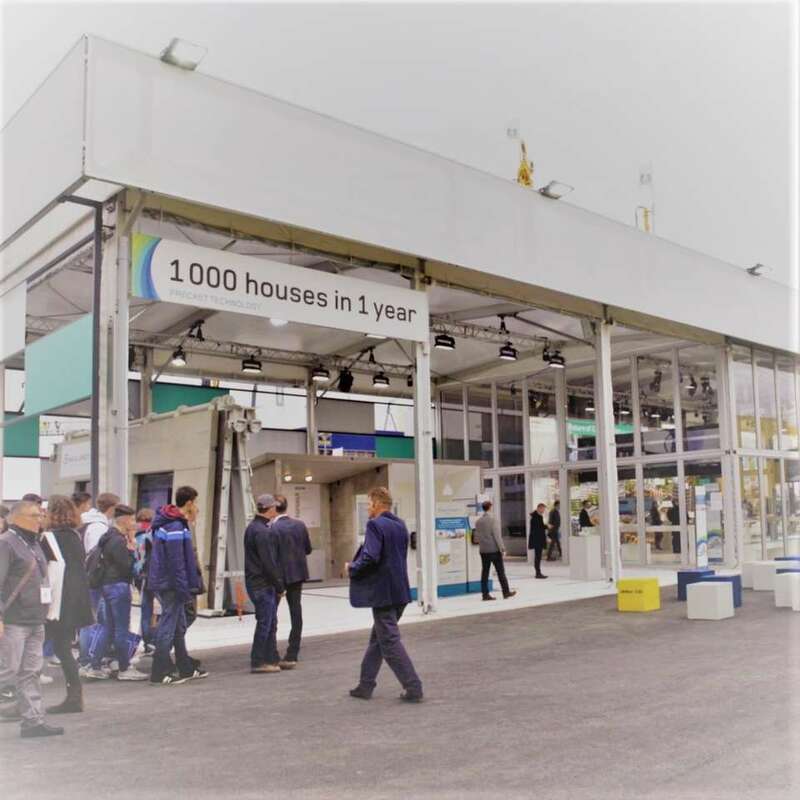 Contour Crafting stands for a revolutionary construction method, where a house shell up to 200 m2 is printed in 24-48 hours. When the Academy of Motion Picture Arts and Sciences in Hollywood has been awarding top movies with the Oscar, at the same time Austrian top companies have been recognized. 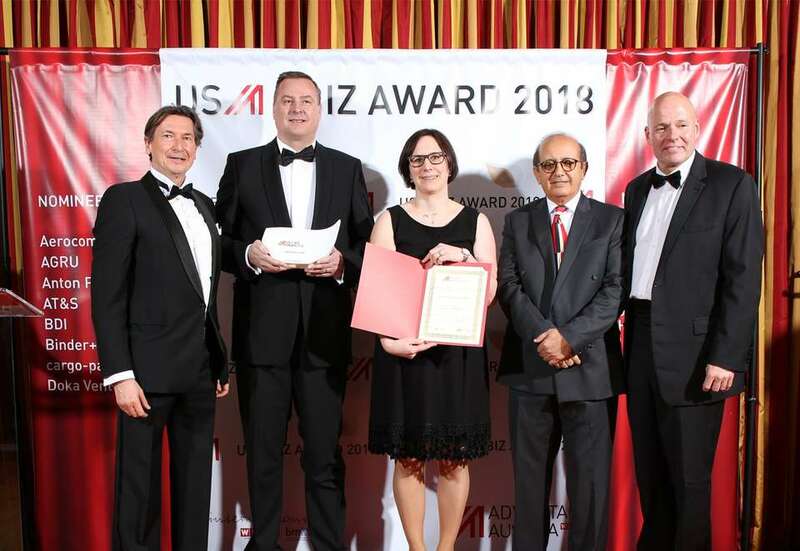 The "USA Biz Award", also called “Business Oskar”, has been awarded for the 8th time this year. By doing that, the Austrian Trade Commission is putting a spotlight on outstanding activities and performances of Austrian companies in the US market. Umdasch Group Ventures GmbH has been nominated in the category “Spectacular” for the partnership and investment in the Contour Crafting Corporation. Spectacular indeed are the technological achievements of the team headed by Prof. Dr. Berok Khoshnevis. The deployable 3D construction printers, called “crafters”, are transported to the construction sites, are set up and start on-site printing of house shells and infrastructure is taking place. Khoshnevis, a former professor at the University of Southern California (USC), owns numerous national and international key patents in this domain. End of last year another remarkable technological breakthrough in relation to material technology has been achieved. The company will soon be ready for serial production. The first crafters will be sold in the third quarter of this year. However, the joint vision of Contour Crafting and Umdasch Group Ventures is much greater. Within the next few years, the whole construction process shall be automated. Reinforcements, pipes, wires, etc. shall be installed automatically by robotic and digital technologies. For a number of years, Berok Khoshnevis has also been developing technologies to print habitats in space, especially on moon and mars. For these achievements, he has already been awarded with a NASA prize twice (2014, 2016). On 04 March 2018 time had come. A Umdasch Group Ventures team travelled to Los Angeles to represent the company at the award ceremony. The event took place at the same time as the Academy´s Oscars ceremony. The venue was the residence of the Austrian Consulate General, warmly hosted by Andreas Launer, Consul General in Los Angeles, as well as Walter Koren, the Trade Commissioner. Over one hundred guests were present when Umdasch Group Ventures had been handed over the “USA-Biz-Award 2018” in the category “Spectacular”.